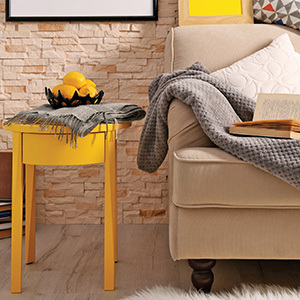 With warmer weather on the rise, it’s time to shake off the cold and shake up for spring! Join us in the happy pursuit of sunny days and fresh food. 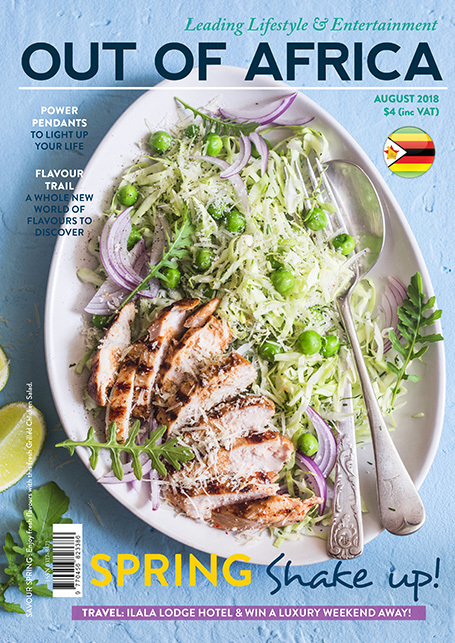 Savour spring with this refreshing issue of OUT OF AFRICA. This month we interview the talented Gemma Griffiths, an exceptional Zimbabwean singer-song writer. Her soulful folk/pop sound is complemented by chirpy acoustic tunes and unique vocals. Get to know her better with OUT OF AFRICA. Explore our Flavour Trail where you will find delicious Middle Eastern-inspired recipes. From baba ganoush to lamb kofta, discover a whole new world of flavours with the Taste Kitchen. 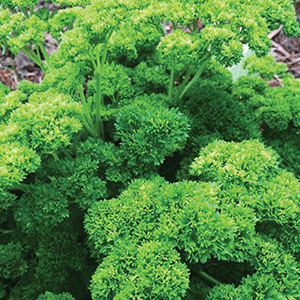 After all the hearty comfort food of winter, it’s time to enjoy the freshness of spring. 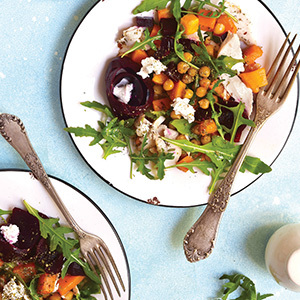 Try out our favourite salad recipes that are healthy and filling. And don’t forget to celebrate International Beer Day on the 4th of August! 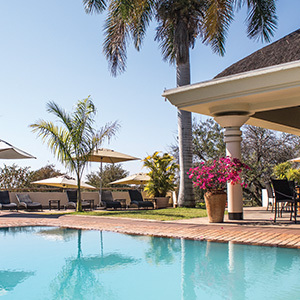 Enter this month’s competition and you could find yourself sipping cocktails overlooking the spray from the falls at Ilala Lodge Hotel. Savour the season and add a spring in your step with these fresh recipes from The Taste Kitchen! Celebrate the new season with these fashion buys. A bold renovation reinvents a 1930&apos;s bungalow as a gallery for art and life. Creating your own haven in a vegetable patch. Stay updated with the latest news and tips with our newsletter!